Why? Because really, why doesn't the ice-cream truck sell cocktails? Missed opportunity. Summer has its own unique set of parenting challenges. 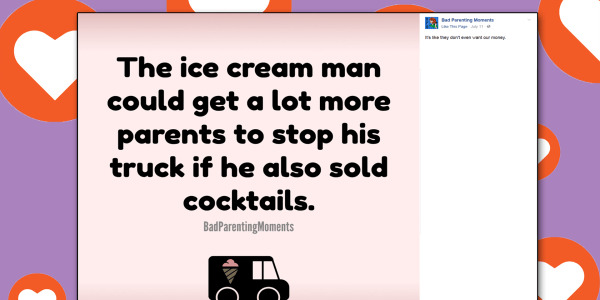 Because really, why doesn't the ice-cream truck sell cocktails? Missed opportunity.